Brandi focuses all her attention on residential properties in Abilene and the surrounding counties, a real estate market that she knows extraordinarily well after a decade in real estate. She attended CJC and studied Real Estate at Kaplan Professional School and Southwest College. She also holds her Graduate Realtor Institute designation and she is an Accredited Buyer Representative. She is also a member of the National, the Texas, the Abilene Association of Realtors, and Big Country Home Builders Association. As a Realtor, Brandi loves the endless opportunities that the industry brings. A proud supporter of Children's Miracle Network, she is honored to donate to the charity on behalf of her clients every time she lists and closes on a property. Brandi herself has two beautiful children – ages 12 and 8– her pride and joy! Brandi's dedication to the industry and to her clients has fueled her success. Based on her commissions, RE/MAX has honored her with awards given only to a select group of high-producing associates. In her first year at RE/MAX, she earned the Executive Club award; in the next 4 years, the 100% Club award; in the last 3 years, the Platinum Club Award, in 2016 REMAX Hall of Fame Award and in 2018 Earned the Chairmans Club award. Brandi also invests in properties in poor condition and then dramatically improves them for re-sale. Making numerous interior design decisions and using her knowledge of the market and what buyers are looking for, she creates beautiful homes for families that further enrich the neighborhoods. She loves real estate, and she loves interacting not only with clients but also with other professionals in the industry. That's also why she recently created a team. Not only does her team allow her to offer her clients more comprehensive service and expertise, but it also gives her a way to help others succeed in the realty business. "The Brandi Smith Team is exceptional. From our very first contact with Chloe we felt extremely comfortable as she was very knowledgeable, professional, and always easy to contact. Being an out of state investor, we relied heavily on Chloe and Brandi to help us and they definitely went above and beyond. I look forward to doing more business with this All-Star Team"
"Chloe Dillard was amazing with helping my husband and I find the perfect home for our growing family! She had worked with my parents find a house when we first moved to Abilene years prior and I knew immediately who to contact once my husband and I started looking for a house of our own! I definitely recommend her to anyone who is looking for a realtor that truly has the buyers interest at heart. " "Brandi Smith did an amazing job with the sell of our home and property. She worked really hard to get us into a new home and has continued to help us through our remodeling process." "5 Stars for sure! We had the pleasure of working with Sammy Guerrero. This was our first home purchase and Sammy went above and beyond for us! We are in our new home and just love it! Thanks for all your help Sammy!" "Amy has seriously been the biggest blessing in mine and my husbands life the past few months. She helped us sell our house in Clyde (we closed yesterday). Throughout the whole process, she was super informative, answered every single question we had no matter how stupid it was, & kept us up to date on every single thing going on. I’m pretty sure we talked to Amy pretty much everyday. She was super organized & always had everything put together nicely. When we were thinking about renting, we were having a hard time finding something that we liked & would accept our pets, so when we decided buying was going to be our best option, we knew we wanted to work with Amy again. I told her what we were wanting/needing for our family of four & she kept all of that in mind when suggesting houses. Anytime I found a house online, I would message her & she would give me the status of it & ask if I wanted to go look at it. We found a home we love & I’m super excited. " "Brandi, with the Brandi smith team is hands down the best realtor you to choose as far as I'm concerned. She doesn't just treat you like a client she treats you as if you're childhood best friends. She goes to bat for you and makes sure you get everything you can possibly get out of your home. I 100000% recommend Brandi. We love her!! " "They do amazing work and do so much for our community. I would highly recommend them to anyone looking to buy or sell. Sammy is so easy to work with and the rest of the team is fantastic!" "This team was awesome from the beginning to the end , they kelp us informed and updated on everything, we did not have to do nothing they did it all, would recommend this team to anyone, our home was on the market for 24 hrs and it was sold , we will definitely use them again if we ever need a realtor, awesome group of ladies that work as a team , thanks for helping us sell our home . A special thanks to Amy for all the help !" "We used Amy Wolf to sell our home. She was great during the whole process! She kept us up to date on everything. She answered any questions we had and was available whenever we needed her. The other members of the team that we came in contact with were great as well. I would definitely recommend this team to anyone. We are using Amy again for the purchase of our new home and will use her for anything else in the future." "As first time home buyers, I have no idea how we would’ve made it through the entire process of buying a home without Sammy Guerrero and the entire team! They did an amazing job at keeping us in the loop every step of the way! They communicated very effectively and kept our best interests in mind. Sammy never made us feel like we were bothering him. He answered any and all questions with a smile on his face! He was very easy to talk to and boy does he know his stuff! He’s also very professional! I’m so happy we chose him as our realtor! He represents the Brandi Smith Team wonderfully! Thank you so much!" "Chloe Dillard is a great realtor. She helped me through one of the biggest decisions that you can make in your lifetime. We found the perfect house and everything that could go wrong did, but she kept me positive and helped me find a new home that was ever better than the first. She answers all questions that I had and just an awesome person. " "Brandi has been my realtor since 2010 and has sold 3 homes for me in less than 45 days each! She is very organized with the sell of homes and knows the market extremely well! She my only listens to me but is able to get showings and advertise appropriately in order to attract the proper buys! Brandi has also helped me buy all of the homes that she has sold for me and knows exactly what I want when I tell her, very good at hearing you and finding you that perfect home!! She now has my current home listed for me due to a move! I have no doubt she will get the job done perfectly! Best realtor in town by far! I recommend her a thousand times over! Thanks for all you do!!!" "This review may be long, haha!! Well, we met Brandi in 2009 when we first moved to Abilene and were looking to buy a home. It was our first home buying experience and she made it seem so easy and fun.. We fell in love with our home and were through the process very quick.. after so many years of renting it out (due to moving away for military purposes) we were finally ready to try to sell our home.. we were very stressed and worried about this process for the main fact that we live in NC and could not be there.. I turned straight to Brandi and she made me feel more confident about selling our home.. I can not say enough on how much she helped us out." "We were so ready to move out of our apartment..after talking with Chloe Dillard for some time about renting we ended up staying in our apartment for another year, we loved working with Chloe so much, that when that year was up we came to her to help us find our first home. She made things so easy and stress free. She helped us find home that we love, and helped us get a great deal in the process. We feel sorry for any other agent we may use in the future, because Chloe set the bar about as high as anyone could, guess we will have to keep working with her :)"
"Absolutely had the best experience with Chloe. We had a rough start due to issues beyond her control. But she stuck with us and helped make things right. We love our home and so glad she used all her big guns to help secure our loan. She was always there day and night to answer questions and assure me things would be good." "I could not have imagined that the process of selling and buying a home could go so smoothly, but I know it was thanks to Chloe Dillard! She took care of everything for us, even though she had her baby during the process! Talk about amazing. Our house was off the market in two days and we were able to purchase a home that we are absolutely in love with. We knew we were in good hands and trusted her judgement completely. I would highly recommend Chloe to anyone looking to buy or sell their home!!" "Being a first time home buyer she made the process extremely easy she was very knowledgeable great negotiator had a small bump in the road with the lender and she was right on top of it could not be more happier with the services she provided"
"Bought and sold with Brandi! She is without a doubt the absolute best in the business! She was professional, courteous and hard working! She knows the market better than anyone and will work hard and be available to make sure you get what you're looking for! I recommend her 100%!!!" "Brandi and her team are amazing to work with and they get the job done, quickly! Highly recommend them!" "Brandi and her team were absolutely amazing to work with. This is the second time we have used Brandi in the last six years. Sindy and I will absolutely recommend them to our friends. " "Brandy and her team were amazing through our house selling process. I would use her again and again! Thank you Brandi!" "My husband and I couldn't have done it without Chloe. She's not only is a Friend but a great Agent. Any silly questions we had, she answered without hesitation. The process of buying a home is not an easy one, but Chloe made it happen. Thank you Chloe and Brandi for letting us be apart of your success. And we will recommend you to anyone we know that is in the market for a new home. Thank you again Chloe! You are the very best!" "We were very impressed with Brandi Team. Chloe was a great help in buying our first home. And very patient in looking at as many houses as we wanted and she worked with our schedules. She also kept in touch with us so we knew what was going on." "Chloe helped us find a perfect home for a family of 6 in our price range and in a great location. The process went as smooth as it could possibly go and we're very happy in our new house!" 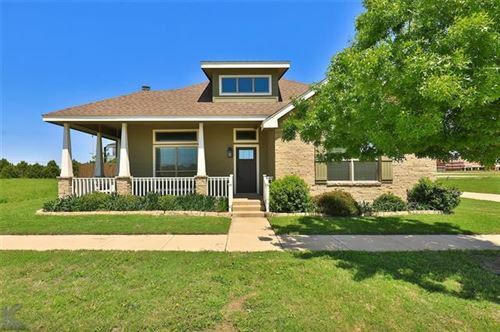 "Chloe and the Brandi Smith Team went above and beyond our expectations during the process of purchasing our home in Abilene. We appreciated the constant communication that was received. Chloe made this purchase seamless and an enjoyable rather than stressful experience. We highly recommend Brandi Smith Team and the friendly, professional guidance." "They were great from the beginning. We are first-time home owners and were thankful to have all the information they provided. They showed us about 30 houses and didn't give up on us until we found our first home!" "Great to work with, easy to get a hold of. If you're a first time home buyer or a seasoned investor The Brandi Smith Team will walk you through the home buying process from start to finish!!" "Our experience could not have been better! We are impressed with the Brandi Smith Team. If there were more than 5 stars to give, we would! This team knows what they are doing. Chloe Dillard was professional, responsive, and smart. Besides that, she is a nice person. She cared about how this sale would go for all parties, and she did her homework to help it be a great and successful experience. Because we had moved out of our house, she was kind enough to keep us updated on a regular basis. Through showings, inspection, appraisal, and closing....she represented us well." "Chloe Dillard went above and beyond to help us find the perfect house and to make our transition as smooth as possible."